With all the negative reporting around economic recoveries, it’s always nice to hear a little good news. Each year, hoteliers around the world see larger chunks of money spent on travel. In 2013, Americans spent 887.9 billion dollars on travel alone, with about 19% of that total going directly to lodging. All of the money pouring into the travel industry means the hospitality market is changing. Increasing levels of competition should have hoteliers rethinking the business strategies that retain existing clientele, and fighting harder to capture the attention of potential new customers. It’s important to note that, if you’re implementing new initiatives to improve customer loyalty, missteps, or ignoring customer demands altogether, can and will drive guests away from your business. Take Wi-Fi as an example. Studies are increasingly showing that most travelers demand free and fast Wi-Fi wherever they book a room, yet 1/3 of current U.S. hotels still do not offer free Wi-Fi access. You don’t want to be the one hotel out there that doesn’t provide the expected service. Your customers will go to your competitors who are willing to offer what has become the standard. From an IT and technology perspective, the “expected” service in most hotels is a network that’s always-on. To stay with the times, you don’t need just to play catch up with your competitors; you need to stay ahead of the game. Here are three tips to help you avoid downtime and keep your network in tip-top shape. It isn’t enough that your hotel is equipped with top-of-the-line technologies and services if you can’t deliver them to your guests—which means you’ll have to keep your IT systems functioning 24 hours a day, seven days a week to maintain happy clientele. What you may not know, though, is that every time your system goes down, you lose money—a lot of money. A study released by CA Technologies reveals that North American businesses, including those within the hospitality sector, collectively lose as much as $26.5 billion in revenue every year due to slow recovery from IT system downtime, equating a reduction in the average business’s ability to generate revenue by 29 percent. And, the right plans are in place to improve the speed of recovery when outages do occur. In our globally-connected world, the expectation for reliable communications has never been greater. Dropped calls and limited access services can lead to poor reviews and a damaged reputation for most businesses. But for Hospitality-based businesses specifically who specialize in housing conferences and business meetings, where Wi-Fi, digital signage, automated services, and other guest amenities will be needed consistently, a dropped call or garbled voice mail can translate into a lot of lost business. The solution here is to begin employing high-availability communications solutions. Modern communications systems give your guests the instant access they need to internal and external services. But, the advantages recouped from UC are tenfold for hotel personnel. 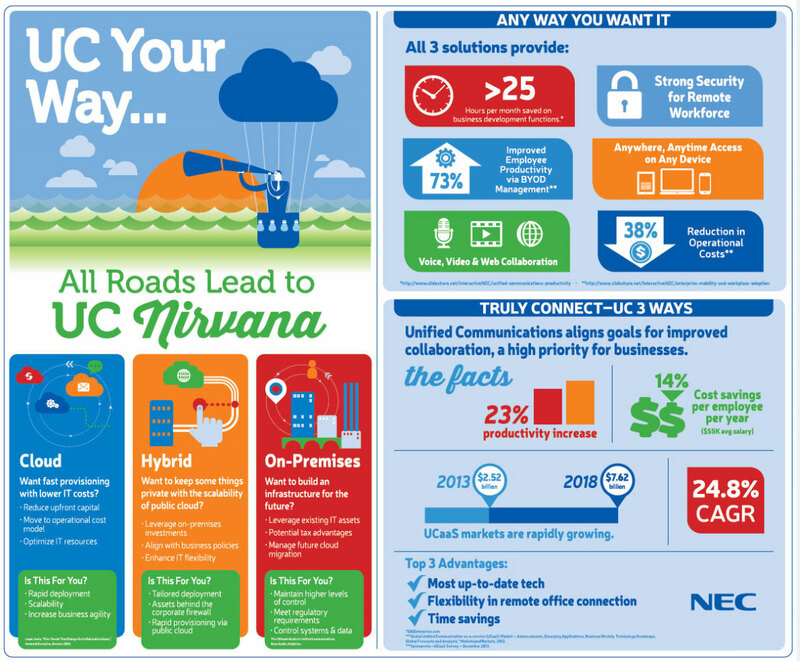 For your employees, UC means enhanced voice, video, and web collaboration, and access to colleagues anytime from anywhere on any mobile-enabled device. Running high-availability, always-on IT solutions can be stressful for any organization—regardless of size. Employing the staff needed to keep things functioning during normal periods, and the cost of hiring onsite maintenance technicians during emergencies can be costly, especially for hospitality-based businesses that often have hotels in multiple locations. Remote management services can be financially beneficial for organizations with distributed properties but centralized IT. Remote management can help reduce onsite IT visits by as much as 80 percent and virtually eliminating the need to hire expensive onsite IT staff during emergencies. But the biggest benefit of remote monitoring is both the ultimate decrease in your system’s outages and downtime, and faster recovery when the system does go down. Why? Because the third party staff, equipment, and application monitoring that comes with most remote monitoring services are available on a 24/7 basis and are capable of detecting things like compromised voice quality or availability issues as soon as they occur, well before your guests report them to you. This means there’s no overlap between the time the system goes down and the time someone discovers that the system has gone down—maintenance can be started and your most important guest services can be restored almost immediately. Giving your guests highly available, reliable, always-on IT services does not have to be as stressful or costly as it may seem right now. It is worth noting that, with the increasing demand to replace outdated communications, there’s a chance that the bulk of your problems and potential risk lie within your old outdated hardware. Take a look at your network system and consider these tips. If you have a problem that hasn’t been solved here, give us a call. It may be time for an upgrade to a more reliable Unified Communications Hospitality oriented communications system. Recently, there have been stories hitting the news about the ability to call 911 from phones in hotels. Do you have to dial a 9 for an outside line first? Or can you just dial 911 straight away? These are questions that the public is asking hoteliers to answer. The ability to access emergency services by dialing 911 is a vital component of public safety and emergency preparedness. The history of 911 and VoIP phones is confusing at best. As legislation has started changing, Enhanced 911 (E911) capabilities have become standard on smart, modern VoIP systems. Currently, only 17 states currently have E911 legislation enacted. 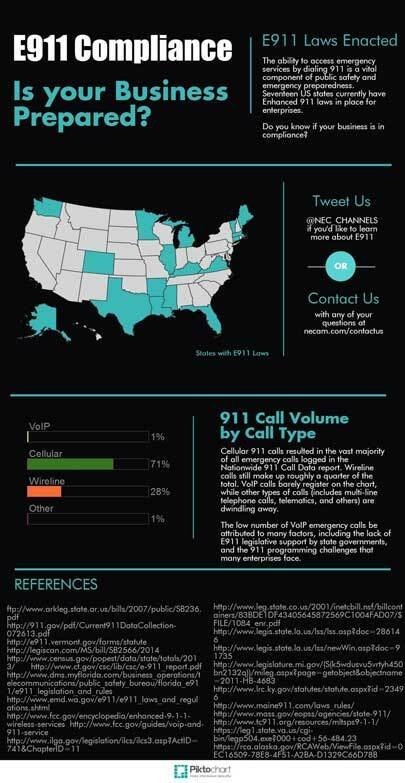 Most states still do not require VoIP vendors, or businesses using VoIP services, to provide E911 dialing capabilities. The legal confusion and the intricacies of programming have made adoption of certain kinds of VoIP technology difficult and a bit unpopular for hospitality organizations intending to provide easy access to emergency services for their customers. While hotels can currently nominate a single trunk to provide 911 dialing services, the growing adoption and the need for hospitality organizations to have hosted telephony solutions or managed services has brought the E911 discussion back into focus. The success of an E911 implementation relies on your hotel’s technology professionals understanding of how E911 works. We’ve written this post to help you assess your current risk and build a budget that prepares you for installation, maintenance, or upgrade costs. VoIP is a much more flexible telephony option than land line phone service. But the confusion around 911 dialing has, for a few years, aggravated hoteliers and customers, often leading to trepidation about upgrading to more modern systems. Dispelling the trepidation is key to successful adoption of VoIP in hospitality based industries, which is important because modern telephony systems provide many new technologies and features that hoteliers and customers will love. If you look at VoIP history, you’ll find that initially, dialing a 9 before the complete telephone number was required to get an outside line on large PBX systems. So in the past, you had to dial 9 to get outside. The technology required it. So at that time the only option callers had was to dial a 9+911. And on older phone systems, or on phone systems that haven’t been programmed properly, this could still be the case; a fact that has created tragedies in situations when the standard convention directs the user to dial 911 in an emergency. 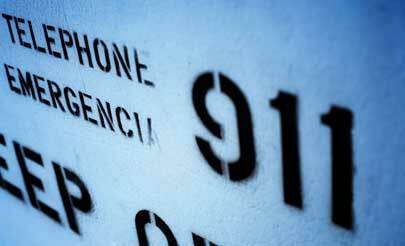 Modern IP phones have been upgraded to include dialing capabilities for 911 and 9+911. But they have to be programmed appropriately to be able to do it—which requires a qualified technician. The liabilities exposed by E911 are multi-faceted. All enterprises must evaluate their footprint in states with legislation and assess their tolerance for risk related to applicable legal liabilities. Additionally, the impetus for E911 legislation continues to build, with additional states passing E911 statutes each year. Enterprises need to continue to comply with statutes in each state, because non–compliance in these states could provide proof of negligence (negligence per se) in an exigent situation. Even in those states without such statutes, failure to implement E911 technology appropriately or at all may be hard to justify with the technology so readily available with modern IP systems. Explaining to your workforce or other stakeholders why E911 has not been implemented properly after a catastrophic event could cause irreparable damage to workplace morale, productivity, and public perception. While internal security teams can perform a risk assessment, it’s often prudent to contract an independent party to conduct the evaluation. Outside auditors bring their breadth of knowledge and experience from working with other companies. Building support inside your organization to implement an E911 initiative or even to get buy-in on a maintenance plan is an important task. There are multiple stakeholders within your organization that will be affected in some way by the E911 project, and it is important to explain everything to them, and identify how E911 will affect them. Take your time and include your team. A budget is not the forecast you put together on the weekend. It must be the result of coordinated input and effort by you and your management team. Don’t try to budget to the last penny. Accurately predicting actual results is not the objective. It’s all about giving your company a direction to use as a jumping off point, and then later for course corrections—providing details on the financial points that matter most. Make the tradeoffs when necessary. You have a finite amount of resources available to you. The same can be said for VoIP providers. All communications solutions have their strengths, but vendors cannot provide every single tool that’s available in the whole market. Prepare your budget with the knowledge that you might not have access to the tool you want, but can use that budget to finance a tool that maybe you didn’t plan for. Most importantly, this discipline will keep you from overspending. But, it will also remind you to assess each vendor’s strengths as a whole—and not based on the one or two applications they cannot provide. This approach ensures that you get the support you need, which is the key to the success of your project. Once you’ve budgeted, you can begin assessing vendors. We find that most hotels benefit most from highly redundant software solutions. Next week we’ll be at the 2014 Hospitality Industry Technology Exposition and Conference (HITEC), most comprehensive showcase of hospitality technology in the world. There we’ll be unveiling the second half of our post, which covers E911 programming and modern hospitality communications technologies. If you’d like more information on becoming E911 capable, stop by booth 827 so that NEC Hospitality experts can answer your questions.